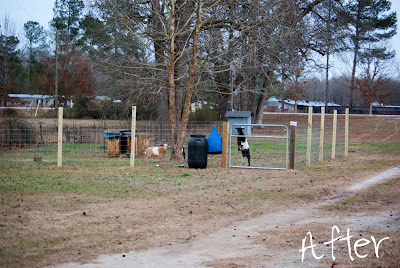 This weekend we started building the goats new pasture area. We are trying to build it a little at a time so we don't have to deal with the costs all at once. 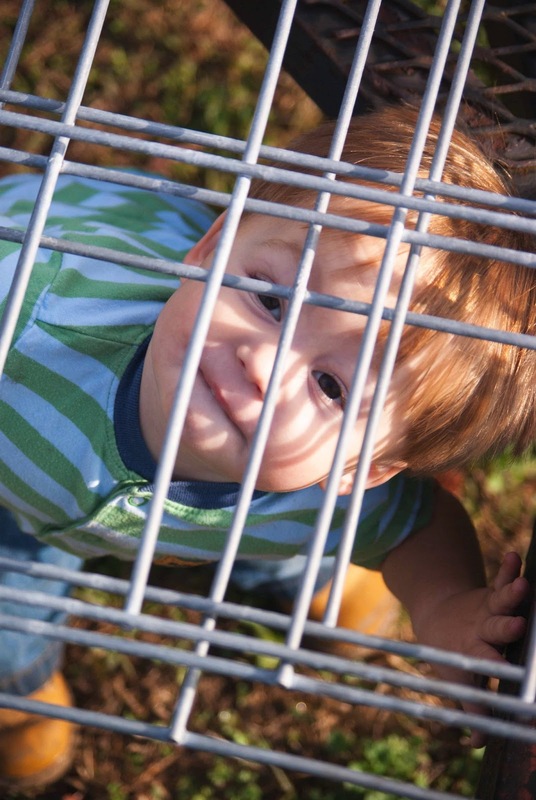 The area we fenced in this weekend comes to 1,536 sq ft., it's an enclosure of 32x48. 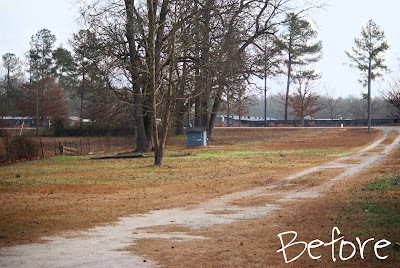 We eventually want to fence in the entire area all the way up to the road for the girls, but will be doing it every few weeks until it is completed. 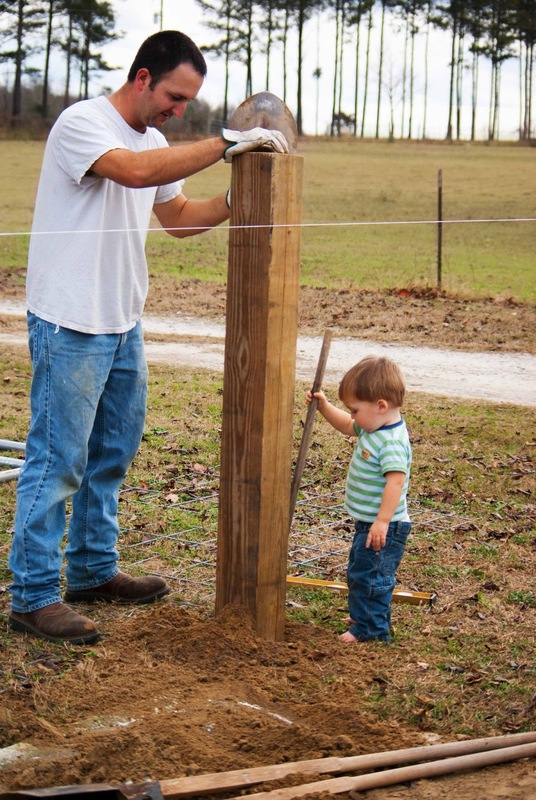 What we have done is used 6x6 square posts for the corners and to support the gate. 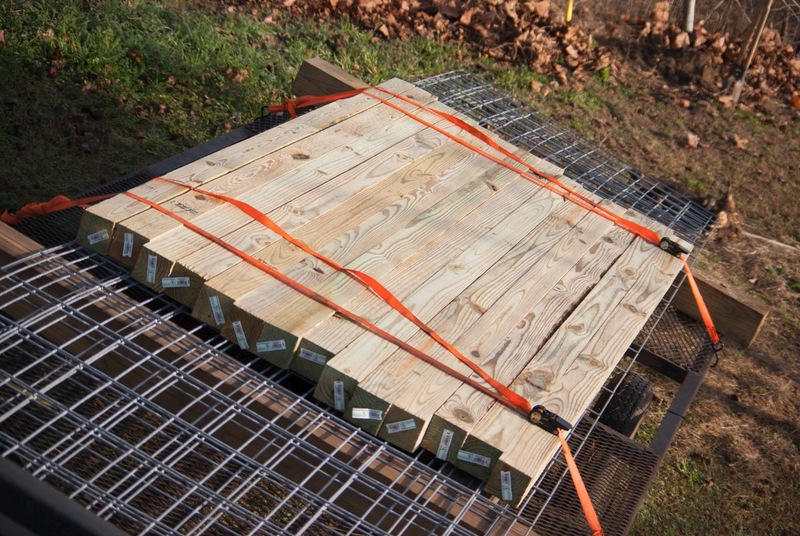 We used 4x4 8ft long posts every 8ft to support the panels. 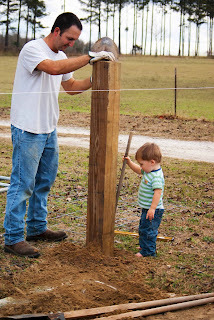 The posts are all close to 2 ft in the ground and the hubs is going to cut them all off even to make it look nice. We used the cattle/hog panels for the actual fencing. 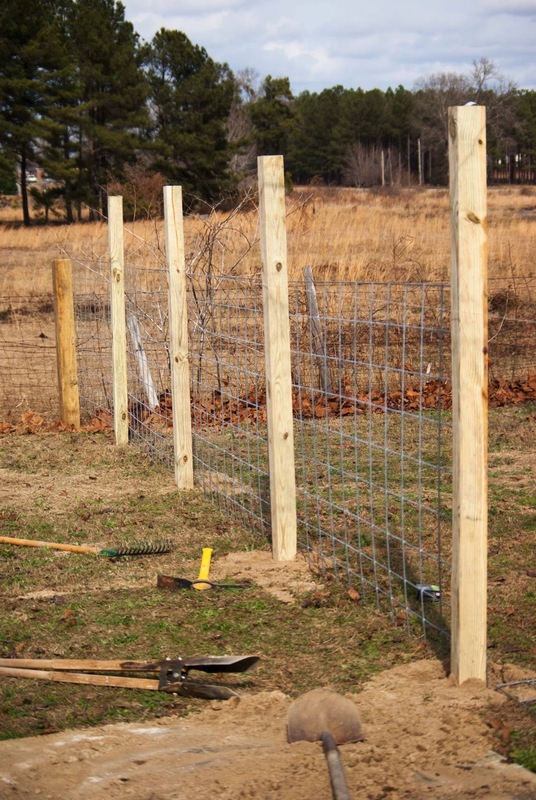 We chose this type of fencing because goats are known to be difficult to keep penned up and this seems to be the best thing for keeping them in. I have a very young son so electic fencing was not an option and any of the other wire type fencing they seem to damage really easy, by either rubbing on it or standing on it and making it sag and loosen. This may be a little more expensive than the others but we feel it will last much longer and we thing it looks nicer as well. The panels we have are 16ft long and approximately 4.5 ft tall. 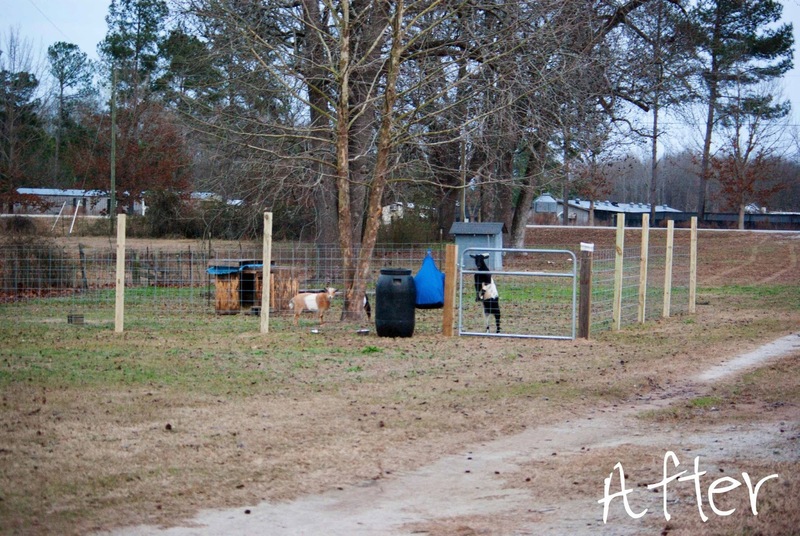 We used the wooden posts to hold the fence but along the back we used T-posts because that area is not going to be there permanently, we will be adding to the fence to make it eventually go all the way to the road so we didn't want to waste wood posts in an area that won't be there forever. 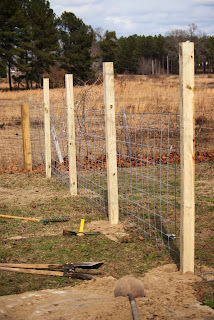 The T-post do a great job at holding the fence up and you could build a fence using them but they don't look as nice so we only plan to use them during the construction phase. 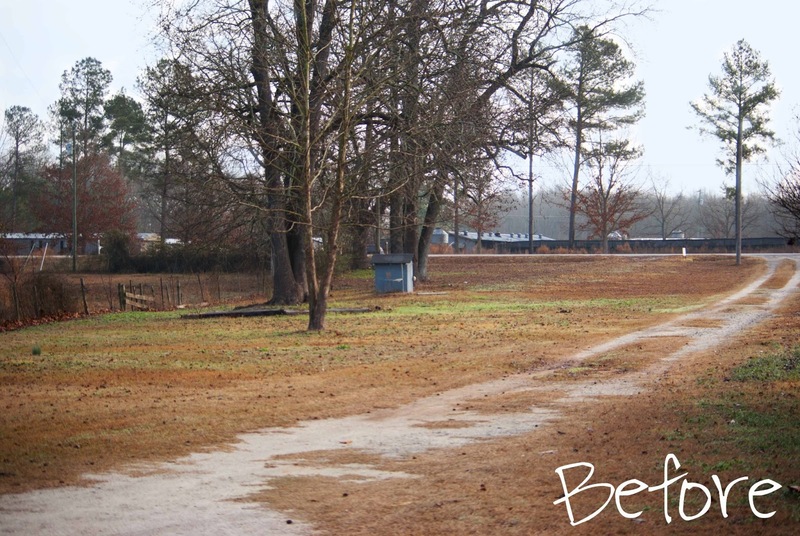 Even though this is our "after" photo, this fence is not yet complete. We will be extending it further toward the road, we still need to cut the posts down so they are flush with the fencing and we will also be adding a wood board along the top and possibly the bottom of the panels to give a more finished and polished look to the whole thing. We still haven't decided exactly where or how we want to do the goat barn, so for now the girls have a large wooden house to sleep in and get out of the elements. They love to nap on top of it though. I also have their hay bag and their mineral block out there for now. And I am hoping to go some time this week and get some things for them to jump up on because I know how much they love to climb. Our Trailer full of supplies. 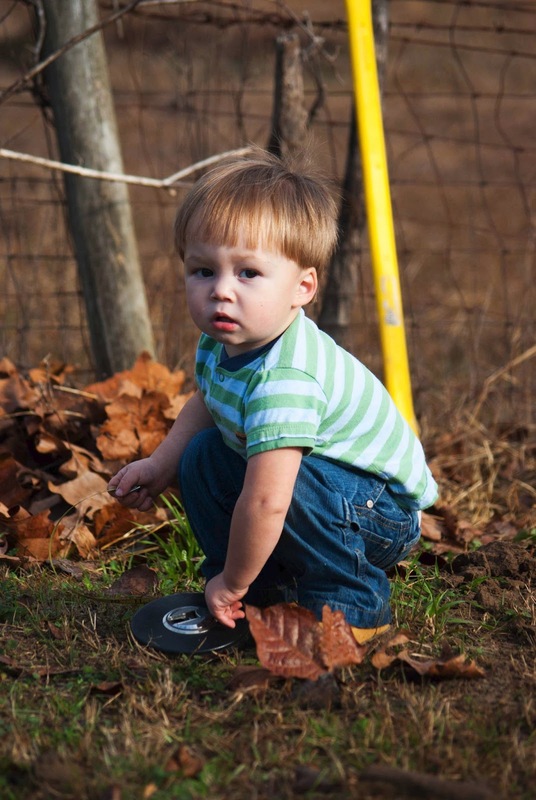 Helping daddy pack the dirt in the holes around the posts.